Just a few more days and then it will be over! 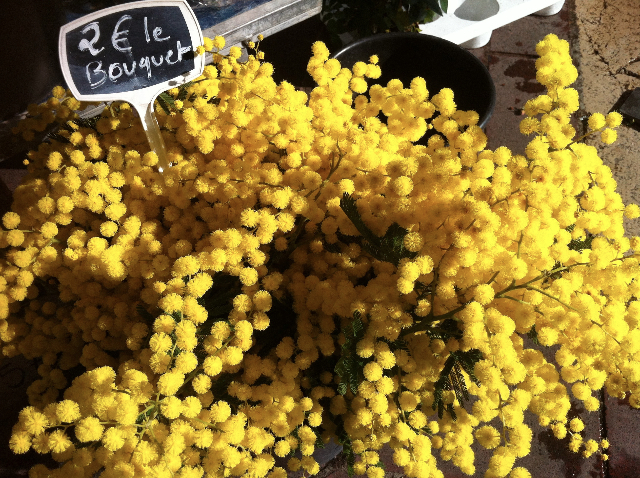 Now is just the right time to get one of the most beautifull range of mimosa, blooming all over the Riviera, the “gaulois” breed. Its perfume is strong and delicious, and its grains are big and bright yellow, contrary to the “4 seasons” breed that you can find all year long but is quiet less magnificent! 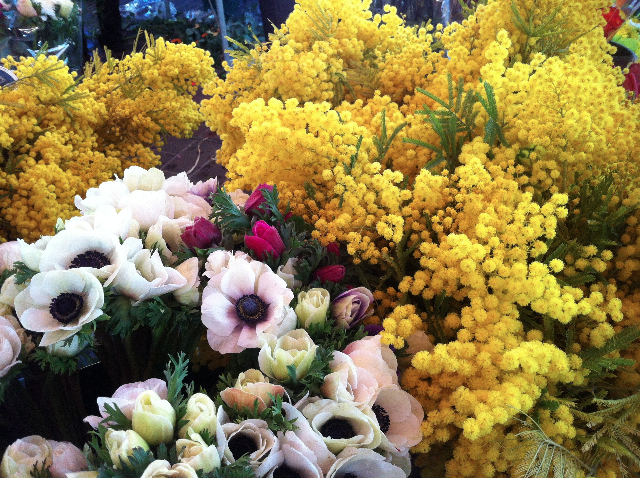 I found this one at the Cours Saleya, the flower and food market in the Vieux Nice on sunday morning. All over the place you can choose between giant bouquets for 2 or 4 euros, a very simple shiny pleasure!